At Gelson's earlier today, they had these funny looking oranges to sample which were actually Sumos, or Sumo Citrus. They are a blend of orange and mandarin with the most unbelievably easy to peel skin and they're also seedless. They're sweet like an orange with just a little extra tang. If you find them in your local market, you should definitely give them a try. They're easy to take in your lunch or for a quick snack because they're so quick and easy to peel. I chose to use the juice and some of the flesh in this quick marinade and it was delicious. You could easily use regular oranges or mandarins instead, though. Place all ingredients except peanut oil and green onions in bowl and mix together, then cover and place in refrigerator to allow to marinate for at least 4 hours or overnight. You could also use a zip top plastic bag instead of a bowl. Heat a wok or non-stick skillet to medium heat and add oil. Carefully add the chicken a few pieces at a time and then turn to coat and begin cooking. Next slowly and carefully add the marinade to the wok or skillet, mix with the chicken and bring to a boil. Continue cooking until the marinade is reduced by half and the chicken is cooked through, at least 3 minutes or more. Add green onions and turn to coat. 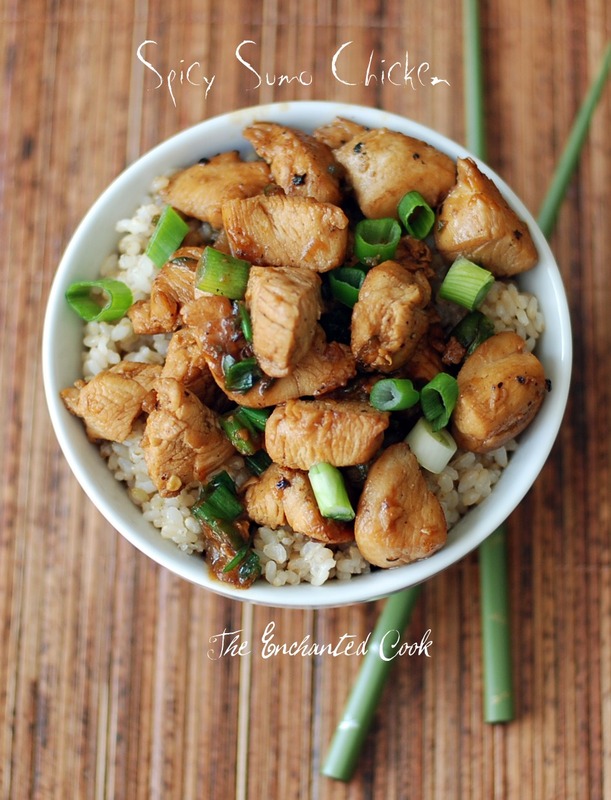 Remove from pan and serve over brown rice with additional green onions to garnish, if desired. Perfect! A one bowl meal. All the flavors sound amazing. This dish looks so amazingly delicious! Stunning photos! This is something that I would totally make! So good! I've never heard of sumos, but this dish looks too good not to make! I'm sitting at the car dealership freezing and very hungry. Your beautiful photos and recipe are sending me over the edge! Wow .... I hopped in to your place from food gawker and I feel like a lost kid in a candy store. Amazing recipes n clicks. i saw this on foodgawker and knew it had to be your recipe! it looks amazing- so flavorful and delicious! This chicken sounds great and looks delicious too. Consider your dish added to our dinner sometime in the near future. I love the flavors..
Hey, Veronica! 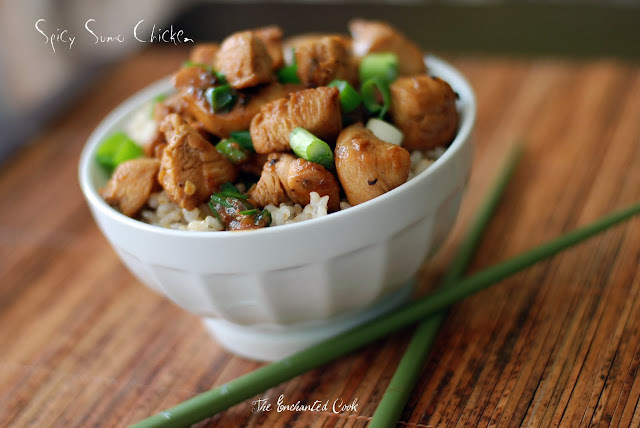 This looks so good...I have all the ingredients on hand to make this, so putting into the rotation for this week. I have two blood oranges in my fruit basket...think I could use those? Hey Wendy! I think the blood oranges would be perfect!! This one-bowl dish looks really good. Your blog is awesome, and I have nominated you for the stylish blogger award.